External validation: Forbes says the Albany-Schenectady metro area is #4 on the mag's "Best Cities for Jobs" list. 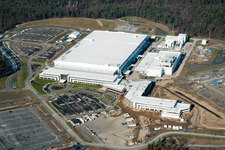 Forbes cites the GE battery plant and the GlobalFoundries fab as reasons for the metro's ranking. Those are good reasons. And it's reasonable to be generally optimistic about the Capital Region economy -- the unemployment rate has been relatively mild compared to the rest of the country, and the housing market didn't implode like it did in other metros. There's the aforementioned factories, and all the nanotech stuff. But it's also worth noting some context: there are currently fewer employed people here than five years ago -- about 14,000 fewer, if you compare December 2007 to December 2011, according to the federal Bureau of Labor Statistics (xls). And in December 2011, there were about 30,000 unemployed people in the region, according to the NYS Department of Labor. Poughkeepsie is on that list? You have got to be kidding me. While that is true, it is really a good place to find a good job if you don't already live here but have specialized experience in those industries. See this current job listing as an example. Know anyone experienced with dual beam FIB and SEM? Know anyone who knows what that means? Ever been nanoprobed? GLOBALFOUNDRIES is seeking a highly skilled, experienced and motivated FA Technician to become part of our state-of-the-art 300mm factory in Malta, New York. Main responsibility is operation of state-of-the-art analytical lab equipment, including dual beam FIB and SEM. Opportunity to learn more advanced failure analysis tools like photo emission, nanoprobing and electrical measurement equipment." For the rest of us, there is the new Shoprite, I guess. Or construction jobs. It's interesting to compare AOA's post on the Forbes piece to the TU article. AOA digs a little deeper into local labor statistics to point out the context of the Capital Region's flashy listing in Forbes. The TU just sticks with the flash. And I moved from #4 to #2 to get a job;-). I'm glad to see Des Moines and Albany, two wonderfully livable cities, get recognized! code Monkey - I completely agree! Global Foundries keeps touting that they are creating jobs in the area, but they are BRINGING jobs and workers to the area (not creating jobs for the unemployed already here). Most of the available positions are highly technical and specific in nature, not something just anyone can apply for. Please consider changing you link color from orange to something easier on the eyes, thanks. Monkey is right - there are highly specialized jobs here that require very specific training, experience etc. Even if you are in a technical discipline you are invisible to them if you lack those skills. Training is out of the questions from what I've gathered. They don't care in the least about hiring local. What do the factory jobs where people wear spacesuits and are exposed to deadly chemicals really pay? I doubt more than $12-$14/hr. Is slapping together battery guts considered a great job? Obama and the GE CEO made some nice speeches about alternate energy and this area, so all of the sudden it becomes top dog. Yep, they don't train. They look for a perfect skill match. If you know 80% of the required techniques they don't hire you. They keep filling the jobs section of TimesUnion with posting like this. What's the point of placing these ads in a local newspaper? Are they just showing off they are "job creators"? Or is it a legally required posting in order to bring a foreigner on H1B visa to the US? Global Foundries presence here provides opportunity for the next generation. It's much easier to convince kids to get engineering degrees when you have the jobs in your own backyard. Also- those folks coming here for the first generation of employment will be bringing property and sales taxes with them. People in detroit learned how to build cars because the companies were located there. Lauren is correct! We should look forward to being the next Detroit! I cannot wait for the 182 year old Clint Eastwood to let me know that it is the start of the third quarter in America and Albany, which has been down and had been counted out, is roaring back, because it is not over until Robo-Nipper destroys another neighborhood. Code monkey - I know about all those things. Also, I believe there is an institution of higher learning in Troy where you they train young people for high tech careers. That's where I picked it up. Forbes and their silly lists! I take all of these rankings with a HUGE grain of salt. That said, I respectfully disagree with some of the comments made by code Monkey, Shannon, and others about the job openings at GlobalFoundries. While some workers are coming from outside the region, others ARE being hired locally, depending on the nature of the job. We do have people in the Capital Region with technical skills, and qualified candidates (e.g., with two-year degrees) who don't have experience in the semiconductor industry can be trained. Ned- you can't deny Detroit had a lot of good years in manufacturing. Decades. It's all about being able to shift when the market calls for it. When the microchips are about to become outdated (like Rochester Kodak's print cameras or Detroit's union manufacturing), GlobalFoundries will just need to be able to change with it. I may have to careful what I say here, because I am an evil foreigner brought in to do a high-tech job in the area. Having said that, I live locally, I shop locally, my kids go to school, I pay my taxes - none of the money ends up in a foreign bank account. I'm sorry I didn't grow up here - but I am a local! There's some hyperbole on both sides, so it's nice when someone like the_exile can put a (virtual) face to the issue. He has a point, but the real question is how permanent the jobs will be. Don't forget that GF was lured here with huge tax breaks, so it's not even a question of, as Lauren says, adapting with the market. If we ever want to cut those breaks, what are the chances that they'll stick around? There's a very real possibility that "Tech Valley" could be the next Borscht Belt. Codemonkey, B, and others have it right. Additionally, the reason this area (the Capital Region) appears to be better than it actually is is because the amount of public sector and higher education jobs located here. Between the two (and there is overlap), there are numerous well-paying jobs that keep the local economy afloat. Combine this with the taxbreaks to nowhere (as though an economy could "taxbreak" itself to prosperity, as though "taxbreaks" alone are a magic bullet in development...), and we see, like some sort of deus ex machina, Nanotech and Global Foundaries appear on the scene to put the region far up Forbes' list. Global Foundries, Nanotech, and whatever else there may be will bring jobs here, and create relatively few new ones that would transform the area on the scale which has hitherto been advertised. Perhaps there will be an uptick in other parts of the local economy (say, in food sales or something parallel to them that increase when the number of people increase), but the number of new jobs coming in these areas (despite ShopRite and one Trader Joes) will be minimal, as the existing infrastructure can already handle demand for the foreseeable future. These industries are legal laundering: public money in the front door, private profits out the back. As soon as that is no longer tenable (when the taxbreaks sunset), the business will in all likelihood move elsewhere. Oh, and one more thing, what is/are Forbes' methodology and indicators of "best cities for jobs," exactly? High paying jobs? Does this alone really capture the kind of information that reveals the "best cities for jobs," much less a bustling economy? Also, while I detest President Obama's health care policies as being too weak and conventional for what the times dictate, any article that refers to the new health care law as "Obamacare" loses a great deal of credibility with this reader, and should with anyone else who doesn't listen to AM radio for anything but kicks. In The Crapital District, you can be a nanotechnologist and you can be a crack dealer, but there's not a whole lot of viable employment available in between those disparate poles. @lu: "They keep filling the jobs section of TimesUnion with posting like this. What's the point of placing these ads in a local newspaper?" Because they may have to do so for legal reasons, especially if they want to hire foreigners (like me). They have to make sure the position is available (and publicly advertised) to nationals. To be fair, Forbes has never been the champion of the working class. Just look at their #3 pick. If you're not a university-level educator or a doctor, good luck finding a job in Poughkeepsie. The income level is artificially high for this area, too, since housing prices are astronomically high for a rural/suburban area. All of the working class has been pushed out to Ulster County. If you don't have a professional degree, you might want to look elsewhere for statistics. It's amazing to me that people would complain about new, decently paying jobs being brought to the area, after decades of complaining about how this never happened. As someone who was chronically underemployed for a lengthy period of time, I understand the frustration that these new jobs simply weren't for me. And in the current economy, even if you meet all the qualifications but they want a left-handed, leopard-spotted version of whatever it is you do, they'll be able to get that and you'll still be out of work. I get that. But let's not forget that a rising tide lifts all boats. As has happened before, a concentration of people within a field will lead to further growth as new ideas and new companies emerge. My major frustration is that Forbes speaks of "cities" when it means "metro areas," and that the jobs in fact are well outside of, and failing to benefit, the cities. When even the minimum wage jobs require cars to get to work, you're not building sustainability. @Carl: your last points about "cities" versus "metro areas" and the sustainability issues involved are well-taken. But I think that the impetus behind the criticism is only partially motivated by "the jobs being created aren't for me" mentality. Instead, I think the frustration is with the fact that the jobs being "created" are not really being created at all: it is a simple re-shuffling of the deck, moving workers from locality A to new locality B (in this case, the Capital Region). So, we benefit locally, albeit indirectly, while someplace else loses. The "trickle-down" from these "new" jobs also will not take the current locally unemployed and put them to work in a meaningful way with a decent standard of living, either (as did the examples someone cited from Detroit; one could also point to GE of yesteryear as well). Finally, the true cost of these institutions is not being discussed and in some cases, is not publicly available (just how much does Nanotech receive from the SUNY Research Foundation? Good luck finding that out...). The true cost would include more than I can think of off hand, but for starters, consider that Nanotech, for example, pays nothing in taxes but consumes City of Albany services, all while making a profit. Furthermore, I would be willing to bet that the employees of Nanotech for the most part do not live in Albany, nor will future employees of this institution. Instead, they will probably find abodes in the already out of control, unsustainable suburbs like Clifton Park. This kind of public-private partnership is not the way forward for a sustainable economy that wants to employ people meaningfully and at a decent standard of living. It just looks shiny, so the politicians happily throw public money into it, while the public is dazzled by the myth (both directly and indirectly promoted by places like Global Foundries and Nanotech) that the technologies that they produce will solve all of our problems. Welcome. I love that you are here and that the industry is here. But I don't think we should pretend that means locals are getting great new jobs. My advice to the locals is to find out a way to sell stuff to Exile. And charge him out of town prices because he won't know the difference. I think it's time for AOA to go on a research extravaganza and find out just how many jobs GF created for people who actually already lived in the area, and then organize the data by county, town, age, and maybe education level. Note: I'm only partially serious, I have no idea how to get this done in reality, and I really don't care what the results might be, but I would happily read them because it would take up another block of time standing between me and the end of my woefully boring work day. When I hit the GF site, there were at least 320 postings that I could apply for with a BSEE. More if you included my MSEE. The nice thing about high tech meaning semiconductors means it will take quite some time to pack up and move. In fact, that's the thing that keeps East Fishkill/ Poughkeepsie going. You buy 3 billion in equipment, it has a tendency to keep you where you are. Also, you can't move semi-equipment very easily unlike other manufacturing equipment. In fact, we have a saying. Once it works, DONT TOUCH IT! Also, I kind of bristle at "locals." If someone moves here for a permanent job, doesn't that make them a local eventually? I mean, how many people are born and stay in the same place. What is this 1840? And this is NYS for gods sake. We welcome the migrant. Not as much as say NYC, but still. In fact, the only reason our state population has been increasing is because our incoming population beats our outgoing. Provincial thinking like this always gets under my skin. As to the shuffling of jobs, that is somewhat true, but we are mostly stealing from TX, so screw them. More like stealing jobs back. @Code Monkey: thank you for your kind words of welcome. I've been here for five years now so I might be starting to get wise to those 'out of town prices'. I rather suspect Lu might be on to something regarding "advertising" locally but realistically planning to hire from elsewhere, and -S's comment seems to back that up. However, I hope the general premise -- that this is a good place to find a job -- is true. Not to steal Code Monkey's alias, but I'm a "code monkey" (a.k.a. computer programmer) who was recently laid off. I've been told the local job market in my field is pretty good, and I'd really like for that to be the case. "By the way, how long do I have to live here before I can start complaining about people moving into the area taking 'our' jobs? :)"
I don't think this is the case. People aren't complaining about out of town people taking "our" jobs. What people are pointing out is that the GF jobs and the GE jobs and the nano college jobs will only bring in people from out of the area. So, if you live here, this isn't an opportunity where you just send in your resume and they show you some love. These are new jobs. Which is great for the area. They aren't "taking" anyone's jobs. And they are creating new jobs in construction and other industries. But you probably can understand that if the locals who might want a cool new job in a great industry read articles in Forbes saying how this place is the greatest to find said cool new jobs, might have to just laugh about this area being a great place to find a job. And then they go back to their crappy job. Don't worry, if you've only been here five years we are still overcharging you. Of course if you bought a house in Saratoga, that will never end.